We offer two types of Tent Cards. Type A is printed on two faces and has a centre score on the third face to allow flat packing and are supplied assembled. Type B is printed on all three faces and have a peel off adhesive strip for easy assembly. 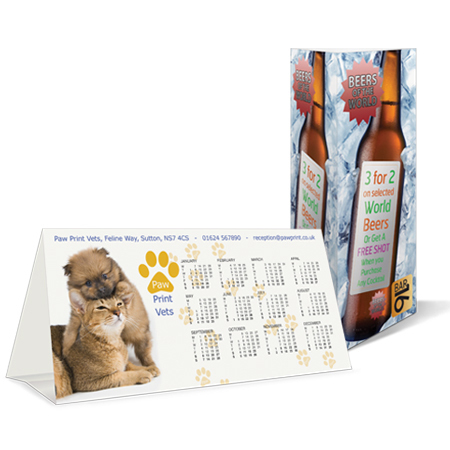 Both can be supplied Unlaminated, Gloss Laminated or Matt Laminated. What type of Tent Card do you require? What type of lamination do you require? Would you like your job digitally embossed?